PPSP Ltd are based in the Innovation Centre Cranfield we specialise in Pigeon proofing solar panels, we use two products to proof panels we use SolaTrim of stainless steel mesh . Upon arrival, Pigeon proofing solar panels technicians will assess the situation and decide the best way in which to resolve the issue. Our technicians will ensure that all safety precautions will be in place before work commences. 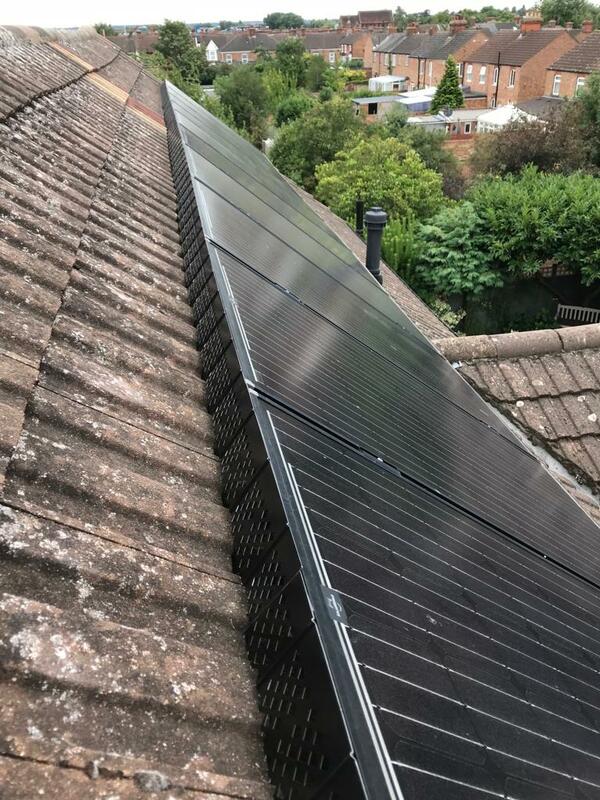 We remove dead Pigeons, nests and debris where possible from your solar panels, ensuring that all remnants and evidence of the Pigeons is completely gone and preventing any debris falling from your roof! Using our secure materials, we measure and fit stainless steel mesh or SolaTrim to each individual outer solar panel to ensure that pigeons, squirrels and other vermin can no longer gain access. We thoroughly clean your solar panels using Pure Water Technology. We also remove all pigeon debris and clean and decontaminate your guttering to ensure that everything is working correctly.